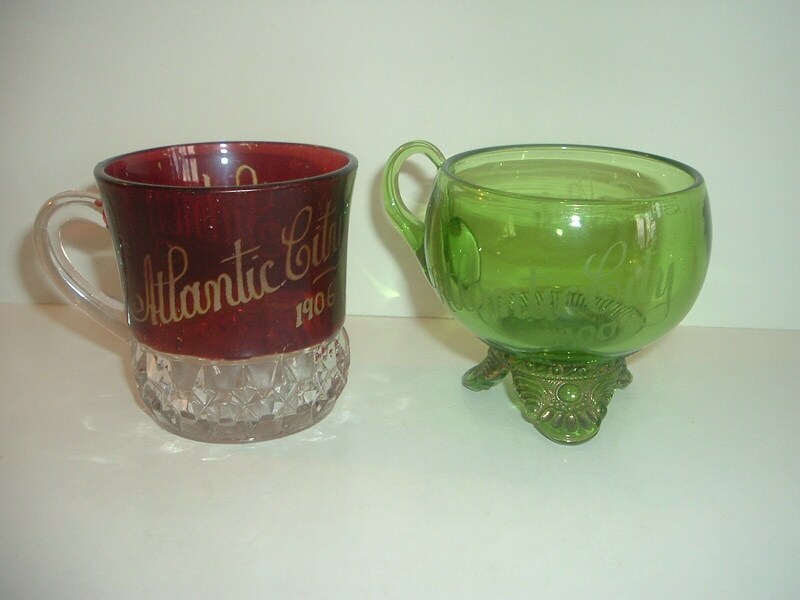 This sale is for 2 old pattern glass Atlantic City souvenir cups. The red one is actually a ruby stain on the top 2/3 of the cup. 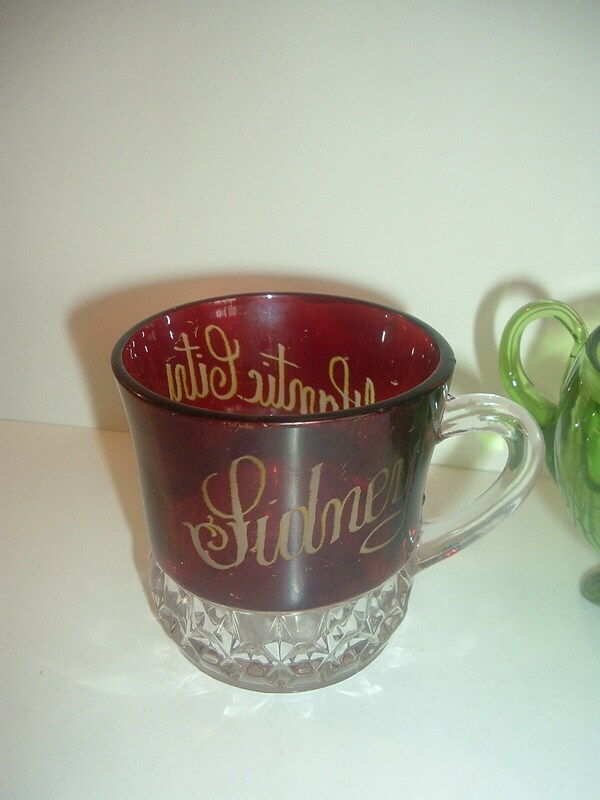 Etched in the red on one side is Atlantic City 1906 and Sidney on the other side. No chips or cracks. Some flecks in the red. 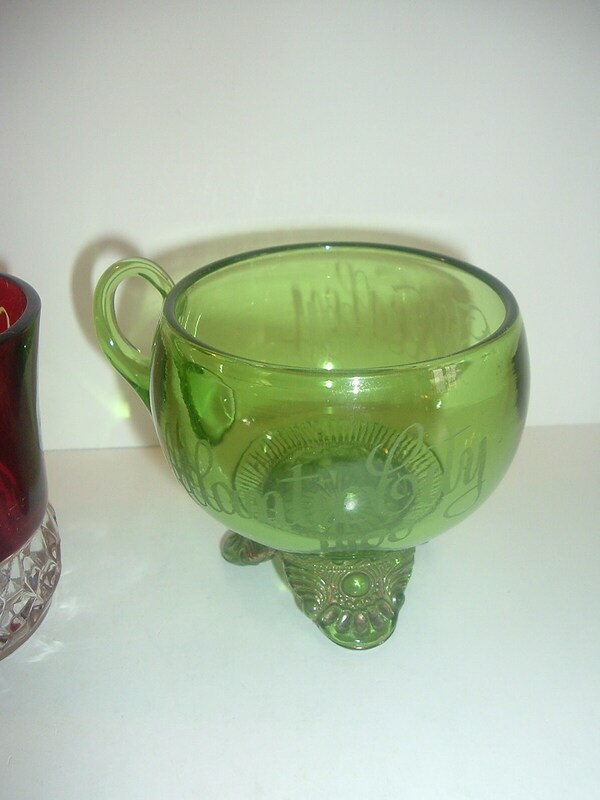 The second one is done in green glass with 3 fancy feet. 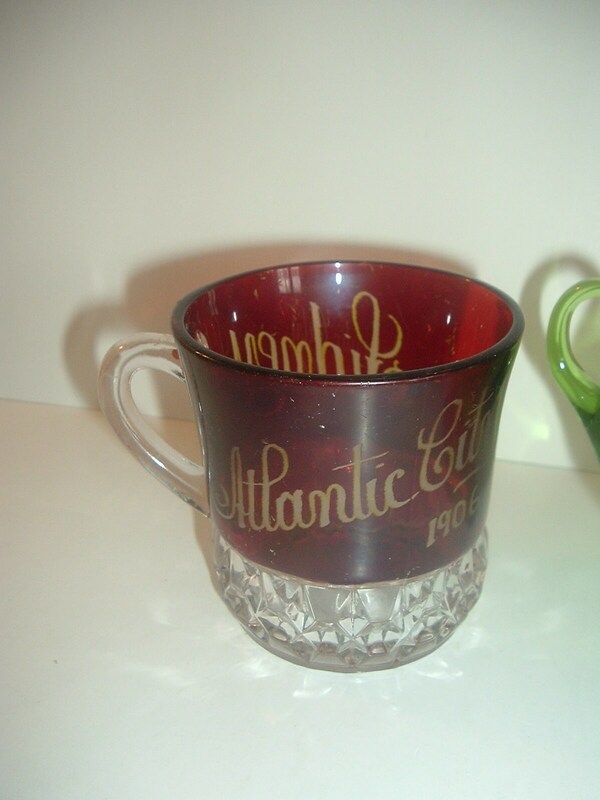 Atlantic City 1900 is etched on one side. 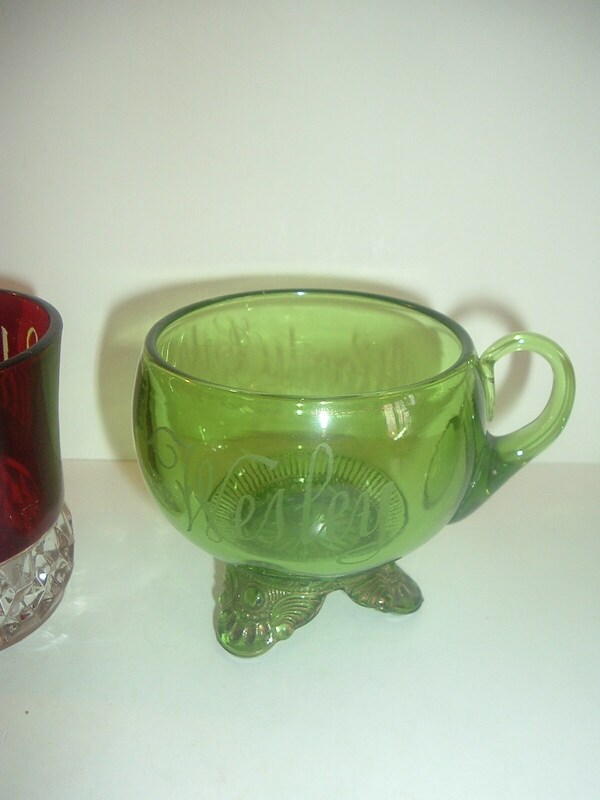 The name "Westley" is etched on the other side. No chips or cracks. Gold wear on the three feet. Two nice, old pieces! I gladly combine shipping.